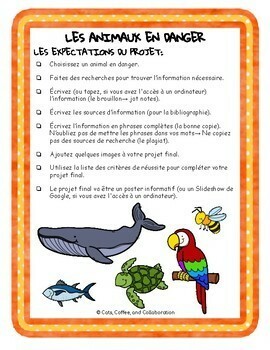 Your Core French students will love researching an endangered animal and creating a poster to share their learning! 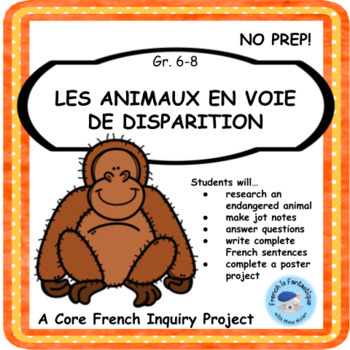 While completing this research project, students will learn vocabulary related to the theme of "Les Animaux en Voie de Disparition" as well as gain confidence when writing French sentences. 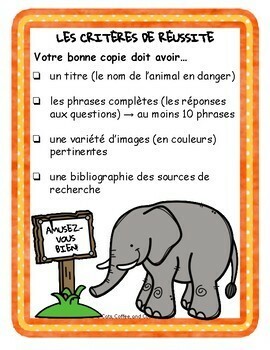 The final poster projects will be fantastic! Thank you for purchasing this project by Cats, Coffee, and Collaboration. 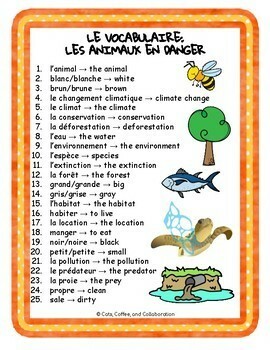 I hope your students enjoy learning about endangered animals in your French classroom(s).